From 20 February to 8 May, Peter Tilley, Andy Devine and I exhibited a “Dirty Business” at Newcastle Art Gallery. Peter and Andy are well recognised Newcastle artists who have been working together for a few years, and this will be our first collaboration. The show is about the Hunter Valley and coal. I contributed a new data-driven video work Melting Point and two works from 2014, The Bell Buoy and Signal Station. An exhibition catalogue was produced with short essays by art writer, Jill Stowell and environmental author, Sharyn Munro. The program ran for 12 weeks with 11,000 gallery visitors and during this time I gave 3 artist talks to education students, the art society and the general public. 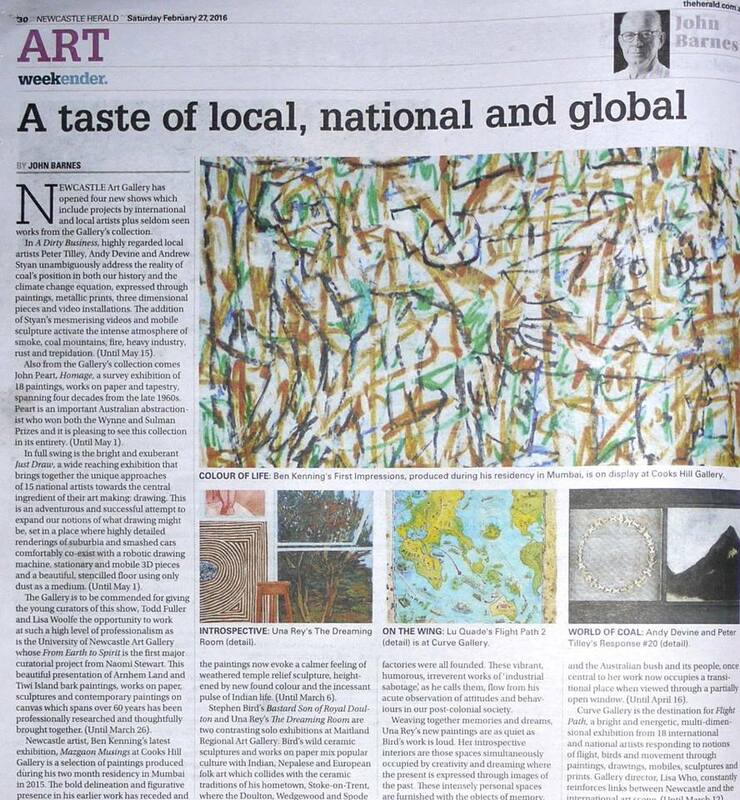 A brief exhibition review by John Barnes was published in the Newcastle Herald. WOW. Yay you made a public gallery! Are you back?